Published since 1990, AJEC engages with current debates and innovative research agendas addressing the social and cultural transformations of contemporary European societies. The journal serves as an important forum for ethnographic research in and on Europe, which in this context is not defined narrowly as a geopolitical entity but rather as a meaningful cultural construction in people's lives, which both legitimates political power and calls forth practices of resistance and subversion. By presenting both new field studies and theoretical reflections on the history and politics of studying culture in Europe anthropologically, AJEC encompasses different academic traditions of engaging with its subject, from social and cultural anthropology to European ethnology and empirische Kulturwissenschaften. 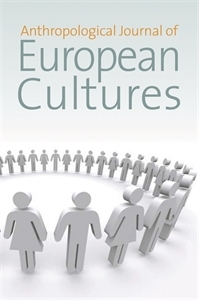 In addition to the thematic focus of each issue, which has characterised the journal from its inception, AJEC now also carries individual articles on other topics addressing aspects of social and cultural transformations in contemporary Europe from an ethnographically grounded anthropological perspective. All such contributions are peer reviewed. Each issue also includes book reviews and reports on major current research programmes.